The parallel universes of the local dailies proceed apace today. Gov. 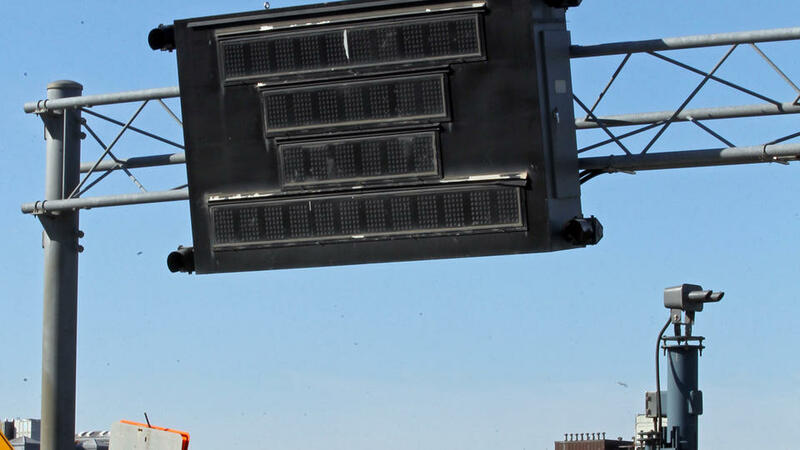 Deval Patrick, with great fanfare, is slated to unveil new, state-of-the art highway message boards for Cape Cod today, even as dozens of similar pricey electronic road signs remain broken statewide, leaving tax- and toll-paying motorists in the dark about everything from traffic accidents and tie-ups to Amber Alerts, a Herald review found. 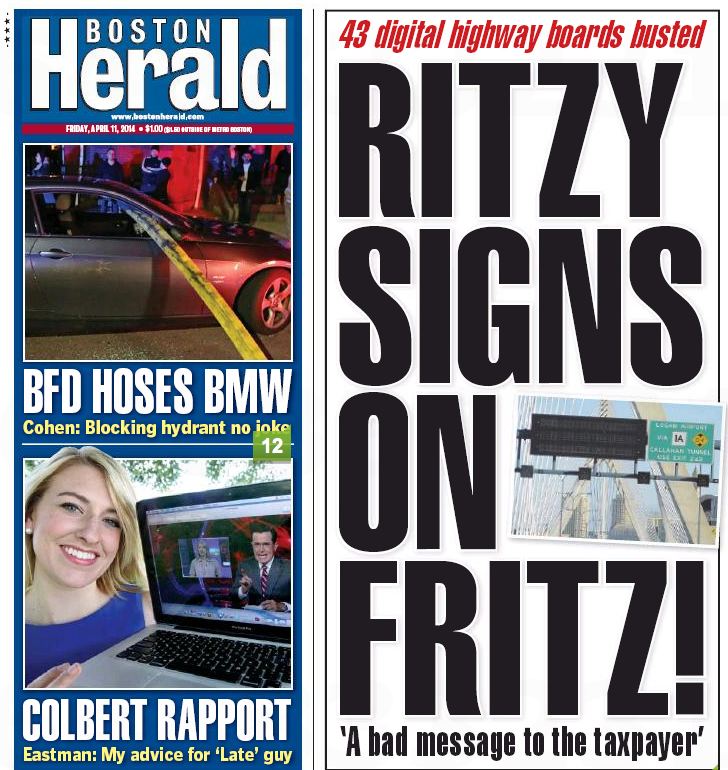 Among the 184 so-called “variable” message boards statewide, 43 are permanently out of service and cannot be fixed due to a lack of replacement parts, according to a Department of Transportation document obtained by the Herald through a public records request. Classic Herald: Good digging, splashy packaging. 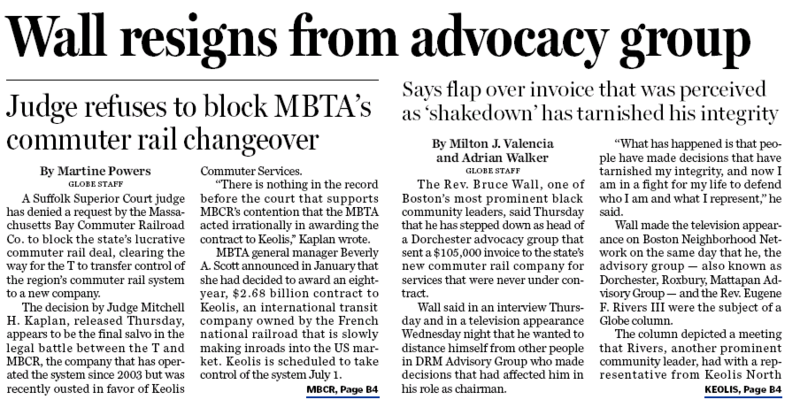 That report is a follow-up to Adrian Walker’s bombshell yesterday about a “troubling demand” by a coalition of local community activists that Keolis North America, which just got the contract to run Boston’s commuter rail system, do more to promote diversity in its ranks. And by “troubling demand,” of course, Walker means an invoice for $105,000. No word on what the vigorish is, though. Today’s piece has Wall and others in the so-called DRM Advisory Group playing Twister trying to explain away an invoice for services not performed or even contracted. Take some Dramamine before reading. The folks at the editorial page are also reeling. THE REV. Eugene Rivers 3d, a prominent minister in Boston, blundered badly last month when he presented Keolis North America with a $105,000 invoice for services related to promoting diversity in the hiring and ridership of the state’s commuter rail system. This startling document, which was signed by Dorchester minister Bruce Wall, came across as a self-serving pressure tactic, and it only harmed the cause of promoting diversity in public contracting. Classic Boston Globe: good digging, enlightened tut-tutting. Can’t do better than a Two-Daily Town. This entry was posted on Friday, April 11th, 2014 at 4:57 pm and is filed under Uncategorized. You can follow any responses to this entry through the RSS 2.0 feed. You can leave a response, or trackback from your own site.